RUSH: Let me grab a phone call. I had intended by now to get into immigration audio sound bites. But this phone call is about one thing. This is Albert in San Francisco. Albert, I’m glad you called, sir. Great to have you on the Rush Limbaugh program. Hi. RUSH: Hold it a minute. That’s exactly what he means. CALLER: Well, I guess my question is, after months and months… We all knew that that was the case, but for months and months, the Republicans kept denying that was the case. Why now? “Why say it now?” I guess, maybe that’s my question. CALLER: Well, Rubio was on your show and he denied it. When you asked him point-blank a few months ago when he was on your show, he said, “I’m not doing this for political reasons.” So I’m kind of confused. Why now, though? Maybe, that’s my question. RUSH: Well, why would Lindsey Graham go on television and say the purpose of this is to get in the good graces of Hispanics? CALLER: Yes, and then why now, though? Why is he saying it now, though? I guess that’s my question. RUSH: I don’t know. I’m having trouble only because this isn’t news to me. RUSH: Let’s see. Grab sound bite 20. This is what he’s talking about. We’ve got time to squeeze the sound bite in. Let’s listen to this. GRAHAM: If we don’t pass immigration reform — if we don’t get it off the table in a reasonable, practical way — it doesn’t matter who you run in 2016. We’re in a demographic death spiral as a party, and the only way we can get back in good graces with the Hispanic community, in my view, is pass comprehensive immigration reform. If you don’t do that, it really doesn’t matter who we run, in my view. RUSH: Okay, so that’s not news to you, right? RUSH: I mean, you know that that’s what they thought all along. You just wonder why he’s saying it now? CALLER: — and this is coming out now. RUSH: Again, I’m up against on time. Let me think about this before I comment. Boy, I just don’t want to give you an answer off the top of my head. Even though it would be better than most everybody else’s answer, I still need to think about it. RUSH: Okay, so Lindsey Graham on Meet the Press yesterday talking about the Gang of Eight bill said that the Republican Party’s in a “demographic death spiral” as a party, and the only way we can get back in the good graces with the Hispanic community is to pass comprehensive immigration reform. Now, there are two things going on here. And my entirely uninformed, wild guess opinion is that at the root of this is money. I think a number of elected Republicans are taking a look at their donors, and are listening to their consultants, and they are seeing that people that are donating big amounts of money to them want amnesty. That’s number one. Do not make the mistake of deemphasizing or not placing enough emphasis on this, because it is true in this instance. A lot of people about would like to believe that all this is about ideas and consequences. My friends, there is a growing phenomenon in this country of crony capitalism taking place. For example, there’s an old wives’ tale, an old myth that basically holds that big money, moneyed interests always support Republicans. And that just isn’t the case anymore. Big money supports government. Major American corporations, corporate America doesn’t criticize big government at all. Have you noticed? I have over many recent years. I can give you an example. It’s not, by any stretch, the only one. With Obama there are many of them, by the way. But take a look at General Electric. GE got in bed with Obama on green energy. Obama was funneling federal money for research and development into green issues. GE, of course, took it. CEO ends up on an Obama commission on job creation and so forth. GE’s not paying any taxes on $5 billion of profit. They found a way to profit from being involved in government, and it’s not just GE. More and more corporations are profiting from being involved in government. Being involved in the EPA, being involved at the Department of Agriculture. So the old idea that big money corporations or Wall Street want nothing to do with big government because it’s an obstacle, has gone out the window. It’s now just the exact opposite. Corporate cronyism is on the increase. In fact, there’s a story about it at TheAtlantic.com, “The Security-Industrial Complex,” and it is all about the new relationship that corporate America has with government. Government’s willing to give it money, enable it to profit in order for partnerships with Obama. There were a number of these partnerships that kind of raised eyebrows during Obamacare, for example. Hospitals and insurance companies got in bed with Obama to fund Obamacare TV ads. Now, these people happen to want the influx of illegal immigrants because they are cheap labor. It’s TheAtlantic.com, “The Security-Industrial Complex.” We’ll link to the story at RushLimbaugh.com. So in this whole amnesty bill, immigration, path-to-citizenship, comprehensive reform, I would urge you to stop thinking about ideas and consequences and the Constitution, because that’s not at play here. What’s at play here is money. If these elected Republicans are told by their donors that the money is gonna dry up if this amnesty thing doesn’t happen, what are they gonna do? And if there’s a lot of it, if there’s a lot of corporation PAC money, corporate personal donation money coming from people who want amnesty, what’s gonna happen? Now, on the other side of it when Senator Graham says, “We’re in a demographic death spiral as a party,” and we gotta “get back in the good graces of the Hispanic community,” what he’s talking about is the optics. We mentioned this earlier. The story, as developed and promoted by the Drive-By Media, is that Hispanics hate Republicans. Whether it’s true or not is irrelevant. The fact that it exists as it does is what’s relevant. Since it exists, since the Hispanics reportedly, reputedly believe this, the Republicans think that they have to do something to show them that they don’t hate them, that the optics are wrong. Senator Graham is simply saying, “We have got to pass immigration reform if for no other reason than to tell the Hispanics we don’t hate them, to counter this perception that they have that has been created. “And if we don’t do it, then we are forever going to lose those votes.” Now, those votes are not even 8% of the turnout in 2012. We’re talking about an electorate, a percentage of the electorate under 8%. There are certainly other demographic areas for Republicans to shore up. And it is true that if everything else stayed the same, and if Romney had received 70% of the Hispanic vote, he still would not have won. But that doesn’t matter. It doesn’t matter. There are two things at work here. All of the moneyed interests, the donors and the political consultants, are telling these Republicans the money is gonna dry up if they don’t support amnesty. The big money people want it, and they want it for various other reasons that have nothing to do with the Constitution or the law. They want it for their own specific interests. In the case of business, cheap labor, any number of other reasons. But you can’t rule the money out of this. In fact, the money is the number one reason behind this. But the Republicans do believe this. Graham is being honest here when he says, “The party’s in a demographic death spiral and the only way to get back in good graces with the Hispanic community is to pass immigration reform.” And it’s immigration reform because that’s reputedly what the Hispanics want. If they Hispanics wanted something else then they would all be for that. Senator McCain has admitted that they’re not gonna get one vote after passing amnesty. He’s admitted it. He said (summarized), “That’s not the purpose. The purpose is to get us back in the game with Hispanics. Right now we’re not even in the game. They won’t even listen to us. They won’t listen to our campaigns; they won’t listen to our message. We’ve got to do something to show them that we don’t hate them. “Then they’ll at least listen to us, and then we have an opening where we can take our message of whatever it is: Limited government, belief in the individual, free markets, be the best you can be, join us,” on and on and on. But they believe right now the Hispanics won’t even listen to ’em. No less than Senator Bob Menendez of New Jersey also said, “The Republicans’ presidential prospects are forever over if they don’t pass this legislation.” Now, my question to that — and I’m sorry for being so silly and naive and stupid. Let me ask a better question. Why does Senator Menendez want us to win the presidency? Why does Senator Menendez want us to be in the presidential sweepstakes? Wouldn’t Senator Menendez really love it if we were aced out? Every Democrat from Obama on down, their mission is to eliminate all opposition, don’t forget. So when Democrats also join Senator Graham and say, “Yep, you guys, you better do something fast or you’re never gonna have a chance at the presidency,” is that what they want? The Democrats want us to win the presidency, and that’s why they’re advising us on the right way to go on this legislation? That’s how it appears to me. Senator Menendez and other Democrats have said the same thing, too. “You guys are never gonna stand a chance if you don’t change your views on Hispanics. If you guys don’t change your attitude here on immigration, you’re never gonna win the presidency.” As though the Democrats, they want us to win the presidency. That’s news to me, too. Now, the caller’s question, “Why now admit this?” And to me that’s not a recent admission. The fact that they think they’re not even in the ball game with Hispanics right now and the only way to get in the game is by supporting this immigration reform bill, that’s — I don’t know. I’ve known that for as many years as they’ve been trying to pass amnesty. The key thing, I think, for everybody to really look at here, you know, forget how many are gonna vote Democrat and how many are gonna vote Republican, that’s not how the Republicans are looking at this. I guarantee you they’re not. They’re looking at it financially, number one. All of their big money wants the bill. All of the Republican major donors want this bill. I’ll give you some names. The Koch brothers, Sheldon Adelson. I mean, they want the bill, because they want the influx of new labor. They want it. They’re not concerned with how anybody’s gonna vote down the line. As long as these guys can stay aligned with whoever is running government, they’re in fat city. So it doesn’t matter what party runs government, as long as they’re in bed with ’em. Meanwhile you and I naively sit out there and talk about the Constitution and right and wrong and the law and this kind of stuff, when that is not really a factor here. There are other factors. And I think Senator Graham saying (paraphrasing), “Look, we’re in a demographic death spiral. The Hispanics hate us and we gotta get back in their good graces. The only way to do it is pass,” I think they do believe that. Remember, their consultants are telling them this. The people they hire, the people they pay to run their campaigns are telling them this. Why wouldn’t they believe it? If Frank Luntz comes in and tells you that’s what his focus group says, what are you gonna believe? If Mike Murphy, or take your pick, Steve Schmidt, if he comes in and tells you, “You know what, you’re never gonna get another dime if you don’t do…” what are they gonna do? These are the people they trust. 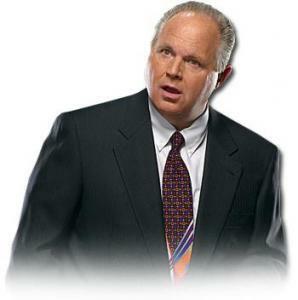 RUSH: By the way, let me tell you something else, folks. As a conservative, I have not changed my mind on conservatism’s appeal. If the Republican Party wanted access to this brand-new population ’cause they wanted to go full bore conservative to ’em, that would be another thing. But there’s no evidence the Republican Party’s interested in conservatism, at least not as I am. I want the best for everybody. I want the best country we can have. I want everybody doing well. I want everybody attempting to acquire wealth. To do that we’re gonna have to reform the tax code. The income tax is the number one obstacle to the creation of wealth in this country, by design. Earning a wage, earning income is not a pathway to wealth in this country anymore. That’s markedly different, and it’s a crying shame. I believe — never have changed my mind — I believe conservatism sells every time it’s properly explained. I believe conservatism is attractive to everybody who hears it. This college student that called and talked about how he explained me to his class, 100% reversal rate once they were properly exposed by him to who I am and what I believe. But if we’re gonna grant amnesty to whatever this number is, let’s go with the number they’re using, 11 million, and if nothing else changes, those 11 million are gonna stay poor, they’re gonna stay dependent. What good is that for them? And they’re not going to be approached with a conservative message. I think conservatism, a conservative Republican Party could get a majority of practically every demographic group, but not if they are going to be remaining poor, not if they remain dependent on the government. Because what we stand for is too big a risk, for people who are already okay depending on Santa Claus. Freedom is a hard sell to some people. Hard work is an even harder sell to some people. The virtues of both haven’t changed. Conservatism as a virtue is triumphant over anything it’s up against. I’m not afraid of 11 or 12 million people arriving in this country. When I hear Senator Graham say or Senator McCain say, “Well, we need access to ’em.” Yeah, but how you gonna approach ’em? Is your message gonna be, “We don’t hate you like they’ve told you. Look what we did. We supported amnesty. We supported immigration. We’re perfectly fine with you being here.” The Democrats own those people by 70, 80%. If they’re not approached with an alternative message, if their approach was just a copycat message or a message that says, “Hey, we like you, too,” then there isn’t gonna be any transformation. I love immigration when one of its major features is assimilation. But this is being done — Senator Graham just explained here, there are people who are in favor of this either for financial reasons or because — this is especially the case with Democrats — how they’re gonna vote. Democrats need a permanent underclass. And it’s still a fact of life. Americans in this country — it’s still the case — Americans in this country still have upward mobility. Some Americans, not all, a smaller number, but some Americans still do advance economically, and they advance upward out of the reach, in many cases, of the Democrat Party. Those people have to be replaced. Hello, amnesty. I think, like anything else, liberalism, this kind of amnesty is damaging to these people. It is not helpful. They’re gonna end up being just like every other so-called beneficiary of liberalism. They’re gonna be suffering. They’re gonna be economically dependent. They’re gonna be poor. Their families are gonna be busted up. All of this is gonna happen, unless there is a change, demonstrable change in the overarching way these people are appealed to. RUSH: Mike in Point Pleasant, New Jersey. Hello, sir. Great to have you here. CALLER: The reason I’m calling is I wanted to comment about Lindsey Graham’s comments. He was saying all the Hispanic votes he was gonna lose, but I say they’re gonna pick up a lot more votes from independents, Democrats, conservatives, Republicans, who want an end to this crap. I really think that he’ll pick up votes. He’s not gonna lose votes. Whatever he loses in Hispanics, he’s gonna pick up tenfold in other people who are really tired of this. They want it to stop. RUSH: It stands to reason. But they’re not looking at it that way, Mike. CALLER: Yeah, I mean, it just makes total sense to me. I know people who don’t vote who would rush out to vote for anybody who’s gonna put an end to this illegal immigration. RUSH: Well, I know what you’re saying. This is why I’m telling everybody: Focus on the money here. The money is the motivating factor. Republican donors are demanding this, and they want it for reasons that have nothing to do with the reason that you’re for it or against it. They want it for business reasons. They want this legislation to pass for business reasons. It is not anything to do with electoral politics. They don’t care! Modern American, big money industry I don’t think really cares the political party that’s in the White House. They don’t care. What they care about is being in bed with whoever’s there. It used to be, not that long ago, the old axiom that big money American business, this sort of stuff, voted Republican because that stand for getting government out of people’s way and business wanted fewer obstacles. Something else come along and replaced it now — and that is, corporate cronyism. If you can profit and profit big by being involved in the government, then you don’t need to worried about government as an obstacle; they’re your partner. What better partner to have than somebody got $3 trillion to spend every year? (interruption) I’m not talking about those businesses. Snerdley’s talking about Obamacare. Those businesses don’t care. I’m telling you that the Republicans, big moneyed Republicans that are weighing in on immigration to elective Republicans are doing it for financial reasons. They want that pool of people in the country for business reasons. It is attractive to them. But the whole concept of corporate cronyism is not all that new, but it’s a relatively new phenomenon to the extent that it is taking place in the country now. You talk about Obamacare? Who was in bed with him right off the bat? If they helped fund Obama’s ads to sell it, they would not be ripped and criticized by the regime in ads as the bill was rolled out or written. You know that. You remember that. The American Hospital Association and the insurance companies helped fund Obamacare’s ads to sell it to the public. Well, now they’re all panicked. We knew they would be, because after a while they’re gonna be out of business. This is what we never understood: Why didn’t they see that they’re gonna eventually be out of business when this thing gets fully implemented? But another assumption that we make that’s always wrong is that exceedingly wealthy people must be really smarter than you and me. I can tell you, that’s not the case.